FairVote is pleased to be a participant in the Strengthening our Nation’s Democracy (SOND) coalition that has brought together a remarkable gathering of the ‘democracy reform and civic engagement’ community: deliberative democracy practitioners, community problem solvers and organizers, election reformers, transparency advocates, e-democracy activists, national service advocates, media reformers, educators, and others. The August 2009 SOND conference led to a draft statement of principles and goals that in its electoral reform section includes many of FairVote's priorities, calling for: a right to vote in the U.S. Constitution; the National Popular vote plan for president; universal voter registration and immediate steps toward it such as youth voter pre-registration and the removal of barriers for states to use proportional voting and instant runoff voting in federal elections. Leading scholars also continue to embrace our vision of election reform. In the 2009 Good Society journal of the Committee on the Political Economy of the Good Society, scholars Sanford Levinson, Carol Nackenoff and Leslie Friedman Goldstein all tout achieving a national popular vote for president, with Professors Levinson and Goldstein also supporting instant runoff voting for presidential elections and Professor Nackenoff supporting a constitutional right to vote. Blogger Matthew Yglesias, meanwhile, continues to tout the potential of proportional representation. And the Oscar for best voting system goes to . . . IRV! The Academy of Motion Pictures Arts and Science will use instant runoff voting to award the Oscar for Best Picture in 2010, ensuring that the most celebrated movie of the year is one with strong support among Academy members. Academy voters already appreciate the value of ranking candidates. Since the 1930s, the Academy has used the choice voting method of proportional voting to nominate five films for best picture, but since 1946 has used plurality voting to pick the winner -- probably to encourage upset wins. In 2010, the number of nominees for Best Picture will rise to ten. 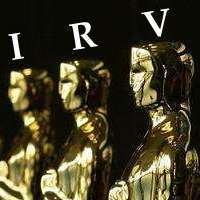 While plurality voting would theoretically allow a film to take home the Oscar despite being potentially disliked by 89% of voters, with IRV the Best Picture winner is sure to be preferred by a large share of Academy members. Update: The Producers Guild of America on September 22nd announced that it also was doubling the number of slots for its Producer of the Year Award to 10 and will have its voters use instant runoff voting to choose the winner in January. A broad coalition of reformers in Massachusetts have a launched a campaign to put instant runoff voting for statewide offices on the 2010 ballot. Proponents aim to collect 100,000 signatures this fall The Voter Choice initiative will be the first statewide implementation of IRV, giving all of Massachusetts’ voters the chance to rank their preferences and to be free of worries over the spoiler effect in elections for state offices. This development comes on the heels of the petition drive launched by David Winters, candidate lieutenant governor of Illinois. Winters, currently a Republican state senator from Rockford, has launched a referendum campaign that would restore cumulative voting (a form of proportional voting) to the Illinois House, a move which would make the legislature more competitive and more reflective of the state’s voters – and encourage more transparency in a state noted for corruption in recent years.